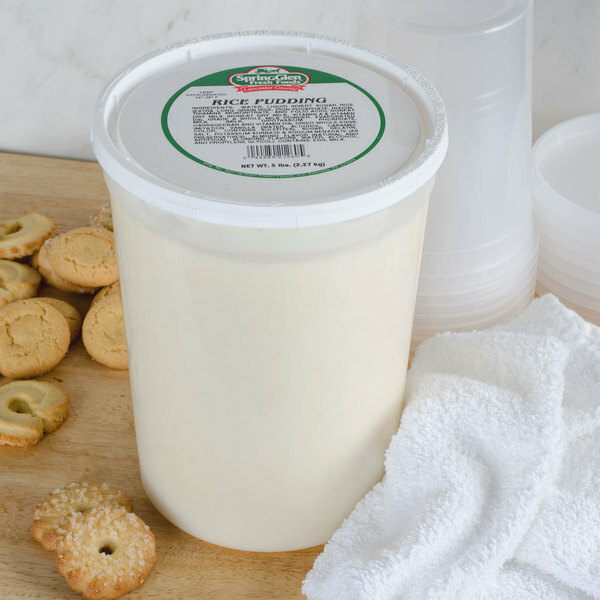 Made with skim milk and cooked rice, this Spring Glen Fresh Foods 5 lb. rice pudding features only the best ingredients for a quality product you can trust. 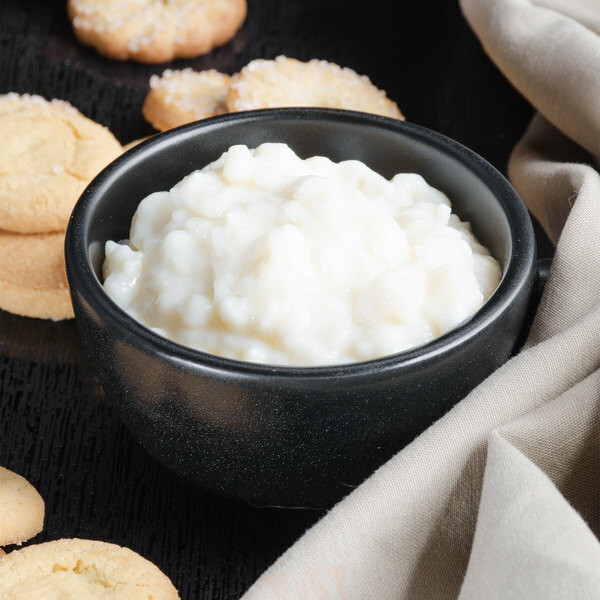 This rice pudding is perfect for serving as a dessert or as a signature side dish. 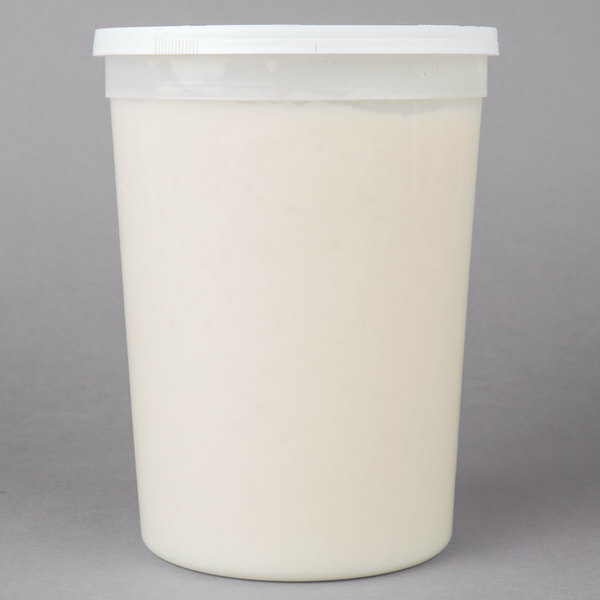 Its mild consistency includes soft, cooked rice evenly dispersed throughout the smooth mixture. Spices and sugar round out the pudding for a timeless taste that simply can't be beat. 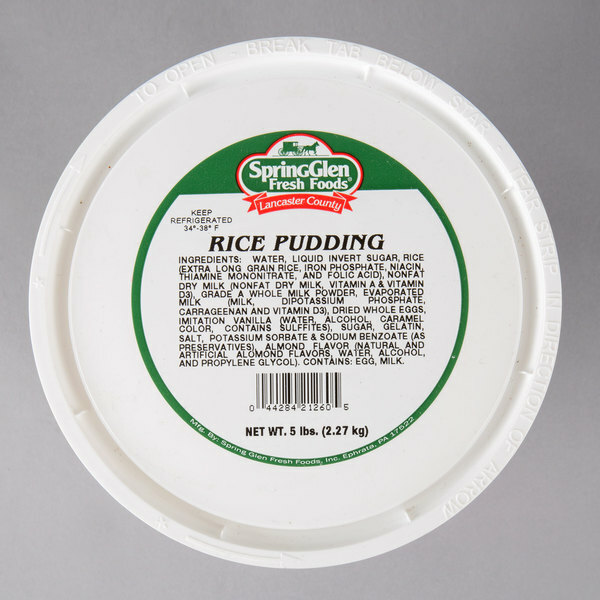 With this rice pudding, you'll be able to offer your guests the taste they want, without spending hours preparing the pudding from scratch. It's perfect for your diner, assisted living facility, restaurant, or cafe. Add your own touch by mixing in raisins, nutmeg, cocoa powder, or fruit. 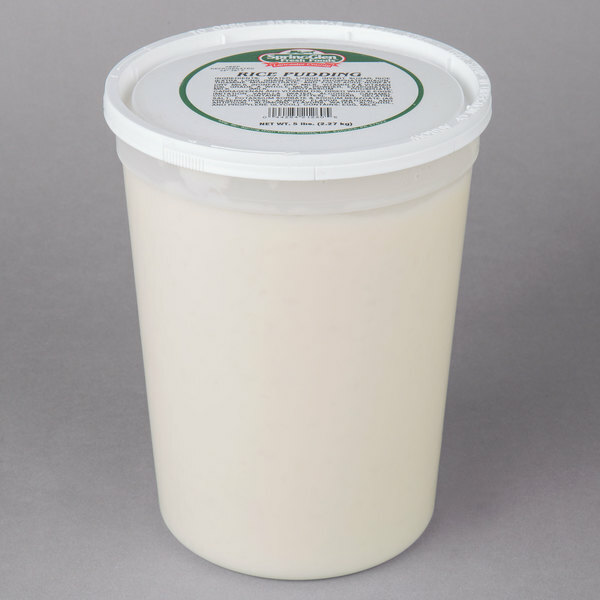 The Spring glen fresh foods rice pudding is a great buy and perfect for making our fillings for our cannoli. The pudding is smooth and sweet.